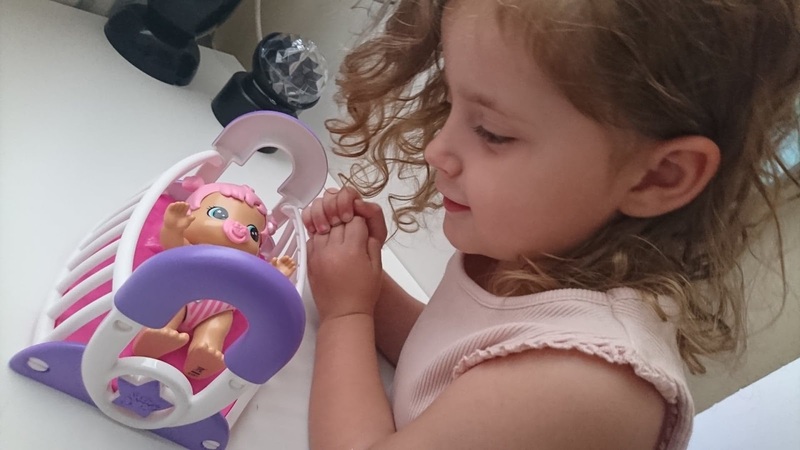 My daughter E is very much a girly girl in some aspects, with a love of princesses, anything pink or purple, pretending to be mummy and looking after her dollies. You may be familiar with the Little Live Pets range, but now there is a cute collection of babies that need looking after too! We received Gracie, an adorable little pink haired baby (which of course, E was beside herself with excitement about) with a little white pair of ballet shoes as a hair clip. Her pink stripy nappy also matches perfectly! By pressing the pink bow button on her nappy, Gracie will show you everything she can do such as boucing, singing and giggling. She comes with a bottle and dummy and she reacts to them once you put them in her mouth. The little suckling noises are adorable! She will "drink" her milk from her bottle but all the bouncing around in her crib will make her tired so by placing her dummy in her mouth and lying her in down, she will fall asleep. She needs some rest and it's the perfect place to dream about becoming a ballerina! E has been taking her role as mummy very seriously, making sure that Gracie is entertained, well fed and well rested; even singing Rockabye Baby when she's trying to get her to sleep. Any toy that combines pretend play with noises and movement is a winner in my eyes! 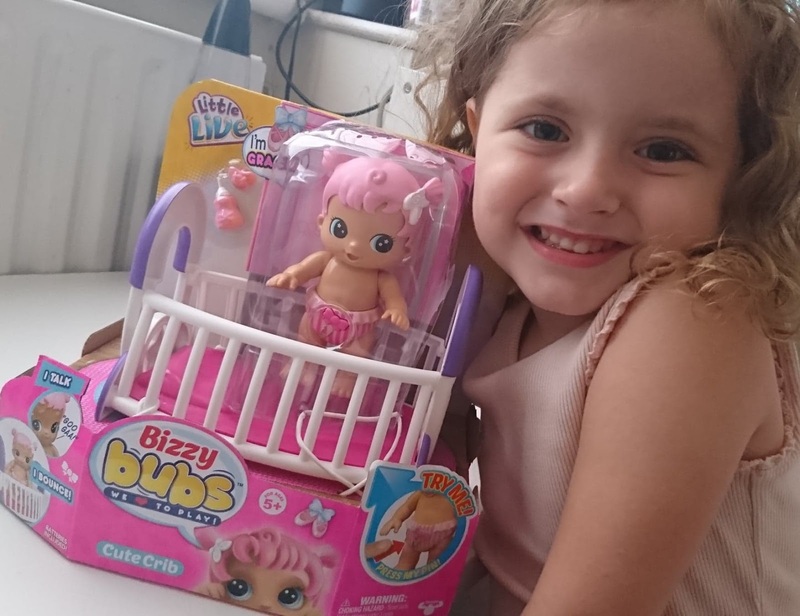 Little Live Bizzy Bubs is recommended for children aged around 5-8 years and it does come with small parts by way of the bottle and dummy. 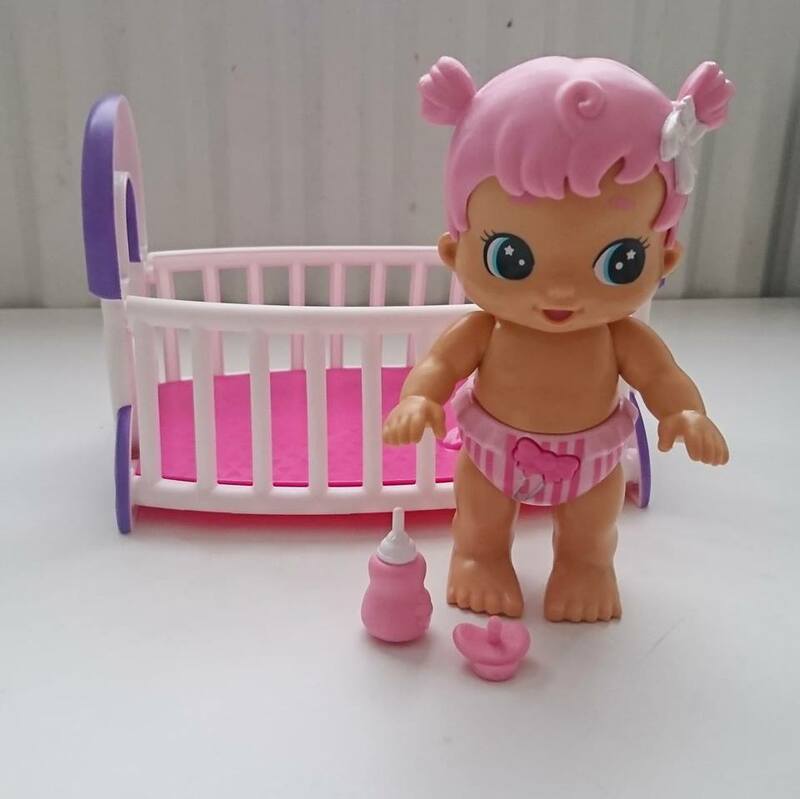 There are six different dolls to collect: Gracie and her Cute Crib, Swirlee and her Cute Carrier (who my lovely friend Jenna has written about), Snowbeam, Poppy, Polly Petals and Primmy. This set retails at £22.99 which I think is a fantastic price as E hasn't stopped playing with her since she was opened, and the actual doll is a lot bigger than I thought she'd be. Bizzy Bubs are out now in all good toy stores or www.character-online.com. 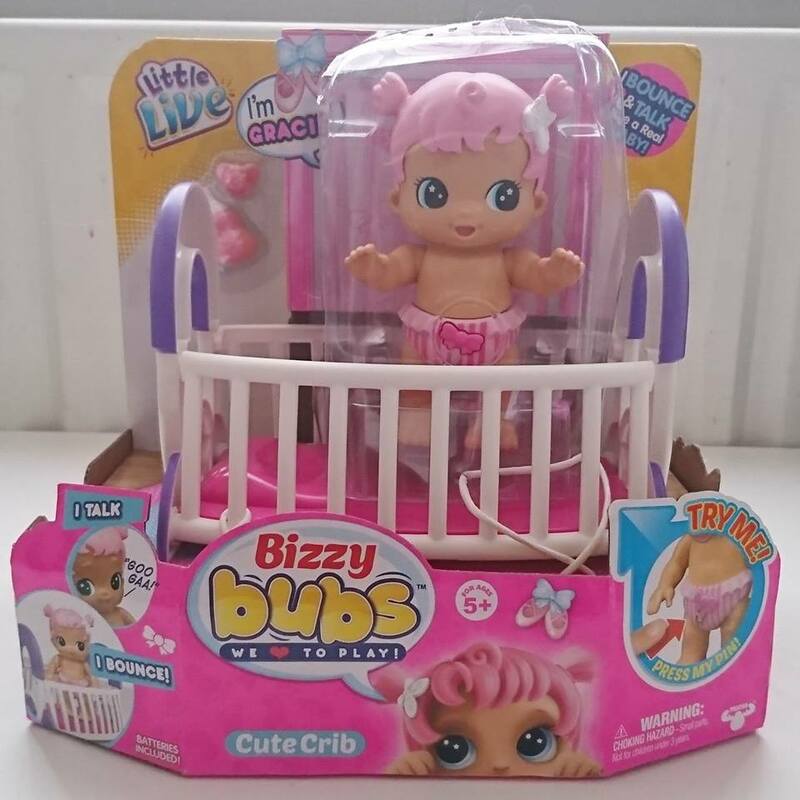 Join in with the #BizzyBubsBabyShower Twitter Party over at @UKMumsTV on 5th July from 4-6pm where we will be chatting about the toys and there will be prizes up for grabs. Check out the takeover at www.ukmums.tv too from 2nd July for more information on the party and more chances to win!